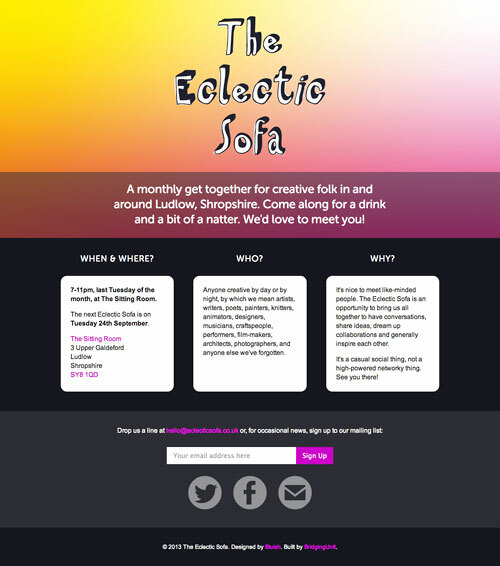 Bluish is a digital design studio run by Dulcie Fulton. 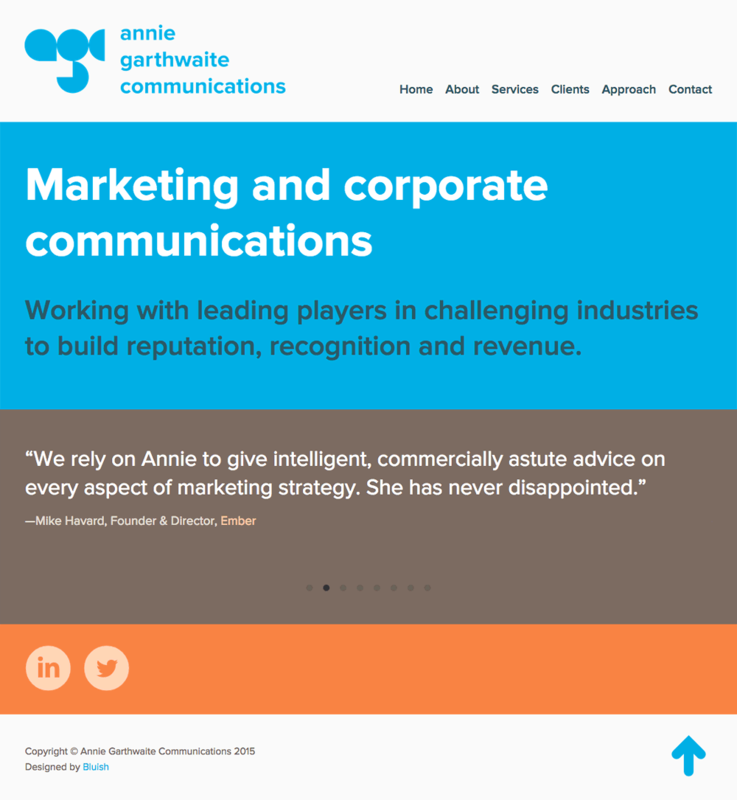 I've been creating refreshingly simple websites & brand identities since 1996. I can make something lovely for you too. Please get in touch for a chat. 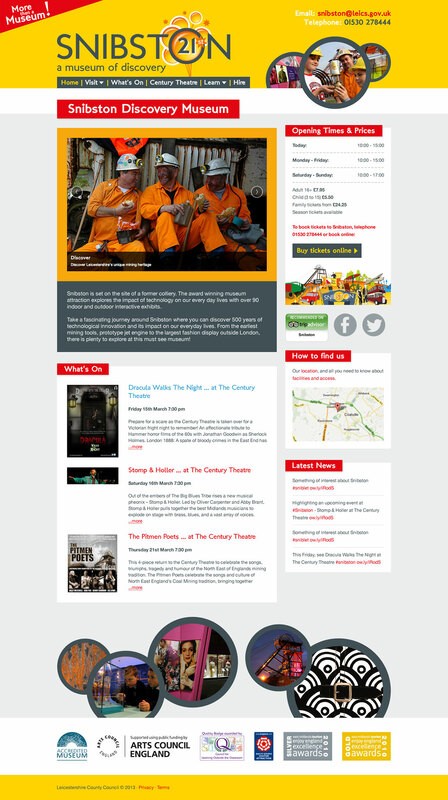 A responsive website showing off Stuart's distinctive film, music and commercial cinematography. 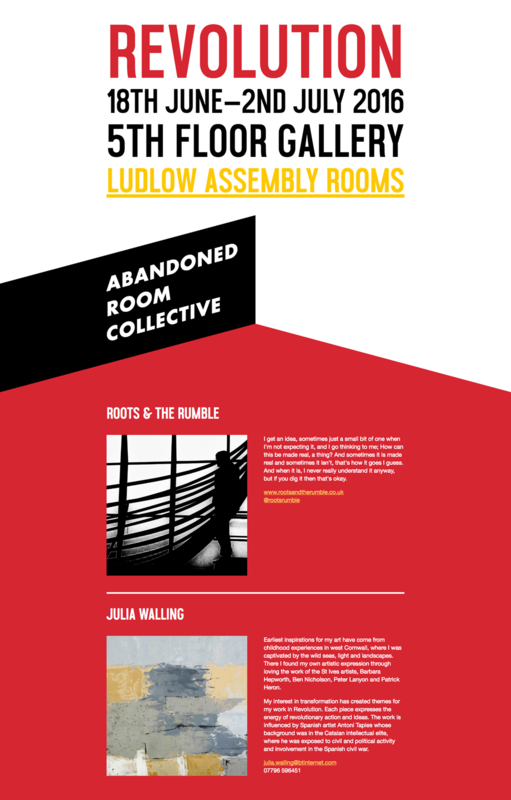 Within a minimal layout that flexes and changes to suit all device sizes, coloured panels reflect the mood of the work. Icons distinguish video from interviews. Filtering lets you hone in on the things you most want to see. 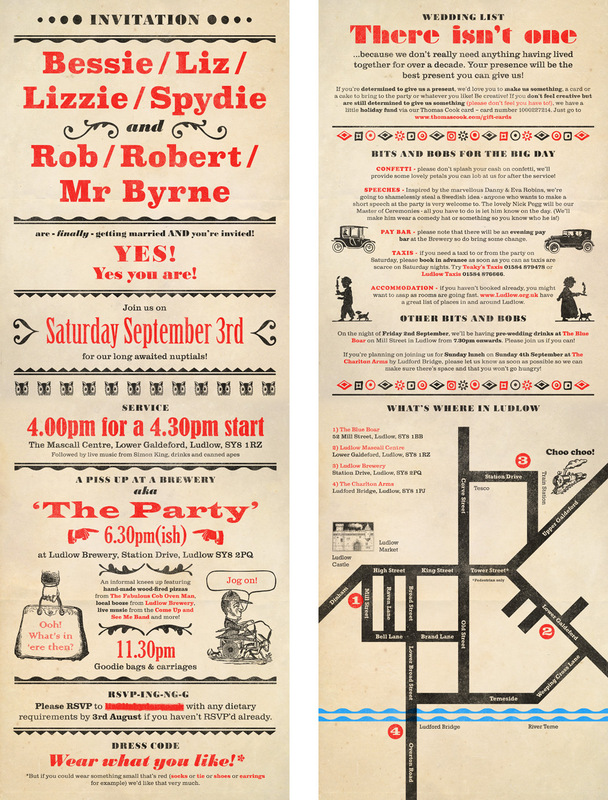 A "Circus-y, fun Victorian type thing" for these two lovely, unconventional, funny people. Though not letterpress printed (alas, too tight a deadline), the invitation uses typefaces that were available as wood or metal type. I used the typographic scale for a sense of authenticity. A responsive Shopify e-commerce website for a contemporary silver jeweller. Browse by product type or range. 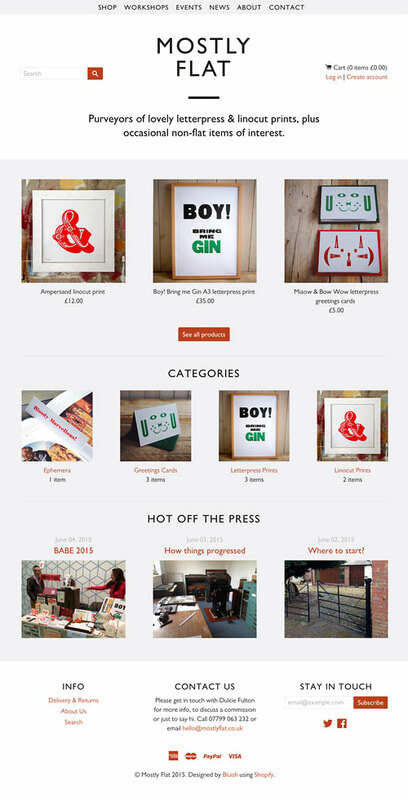 Built using a Shopify template which was restyled and modified to suit brand & project requirements. A responsive one-page website for the 2016 ARC "Revolution" exhibition as part of Ludlow Fringe. Design by Bluish, build by BridgingUnit. A minimal responsive Shopify e-commerce website (no longer live) for this contemporary studio jeweller. 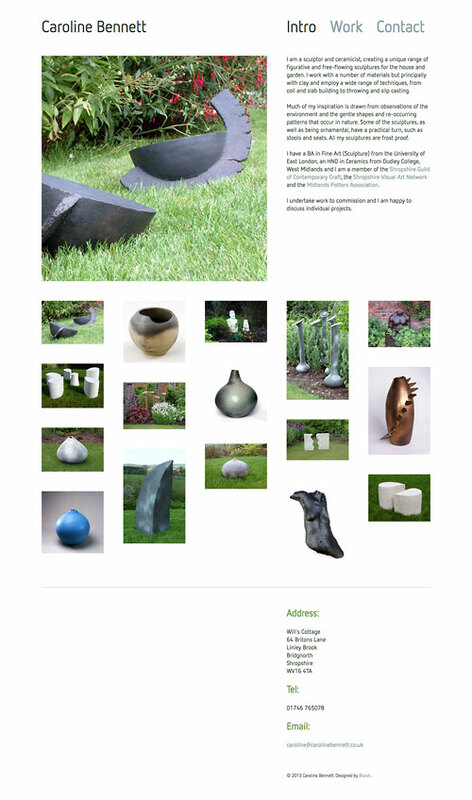 Browse by product type or range, and filter results by materials/processes used to create each piece. Built using a Shopify template which was restyled and modified to suit brand & project requirements. 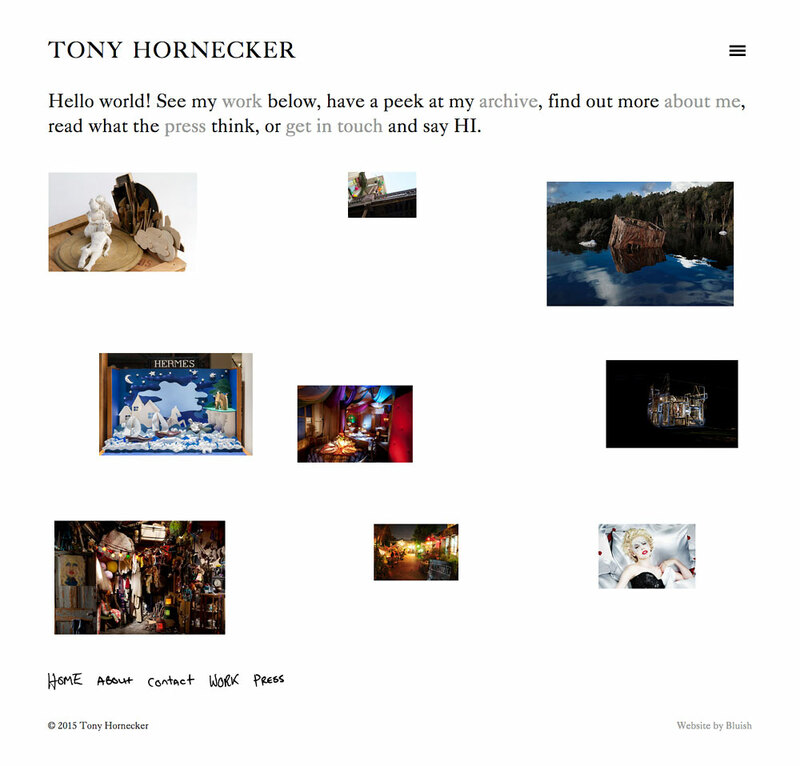 A new responsive website for internationally renowned artist and set designer Tony Hornecker. With vast amounts of stunning imagery alongside video and text the challenge was to make an immersive and visually rich experience that encourages in-depth browsing. Clean, simple and primarily typographic responsive website for marketing communications consultant Annie Garthwaite. 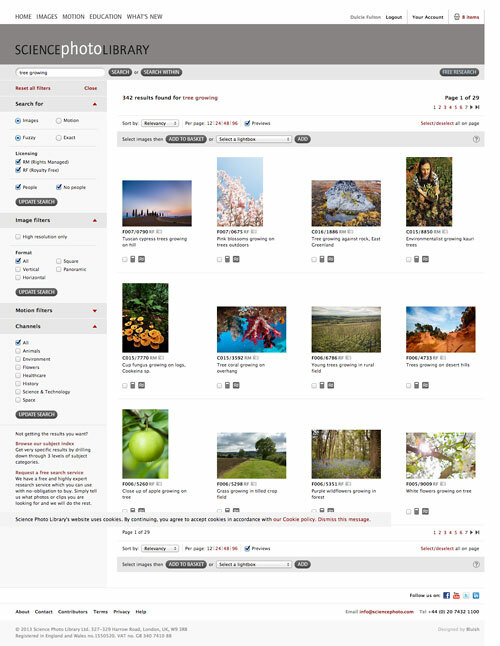 With content pared down to bare essentials I used a bit of movement (see homepage & case studies) and interaction (see Services) to lift the user experience. My adventures with letterpress. An e-commerce website built with a totally custom Shopify theme. 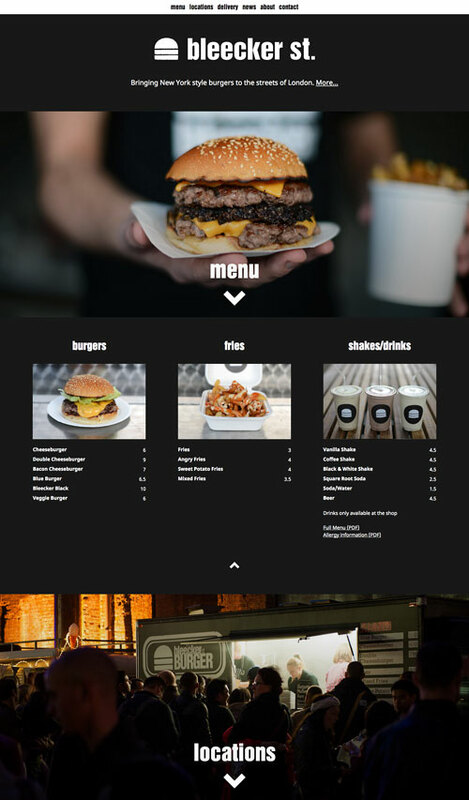 An image-led responsive website for London-based gourmet burger company. If you're vegetarian, look away now! The brief: warm minimalism. Design by Bluish, build by jjl. 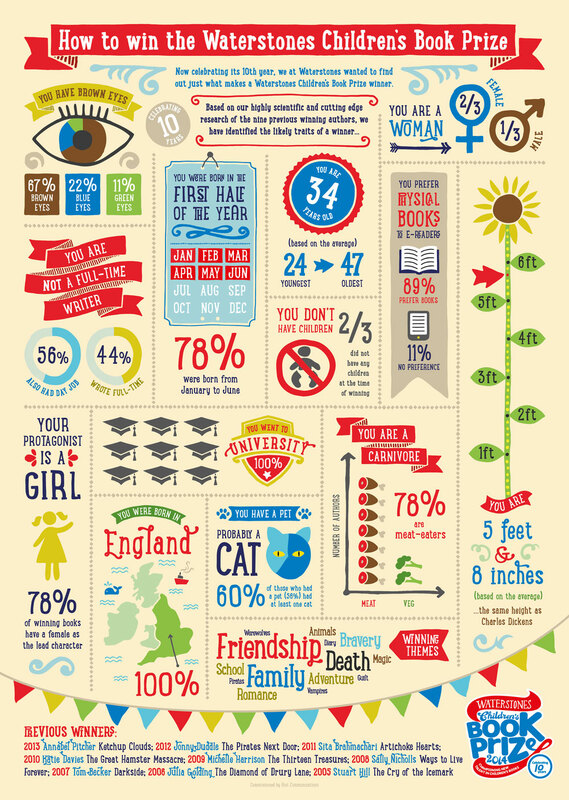 Illustrative infographic commissioned by Riot Communications. It shows the likely traits of a winner based on data culled from a highly scientific questionnaire which polled previous winners. 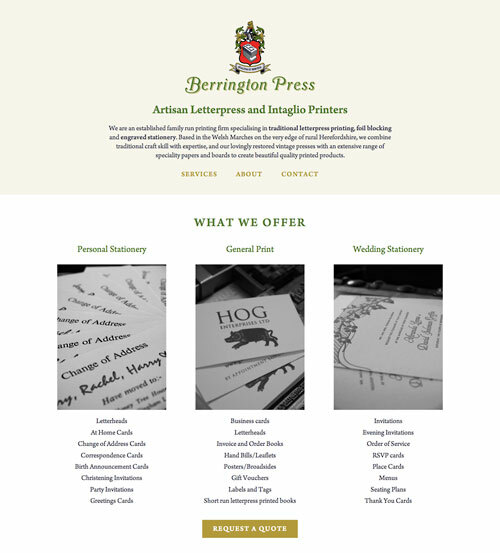 A simple little responsive site for family-run artisan letterpress and intaglio printers in Herefordshire. Plenty more to come. It'll evolve over time. Website design and build for Ludlow theatre company. 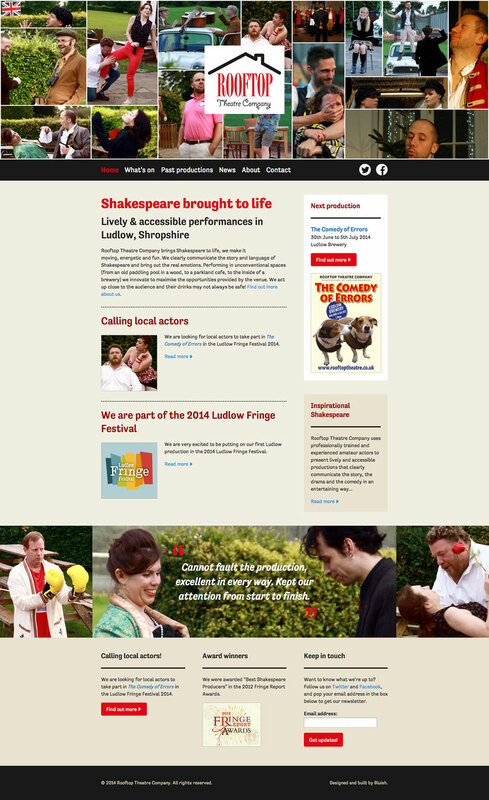 Image mosaics allow fresh and ever-changing displays of photos on homepage and past productions. 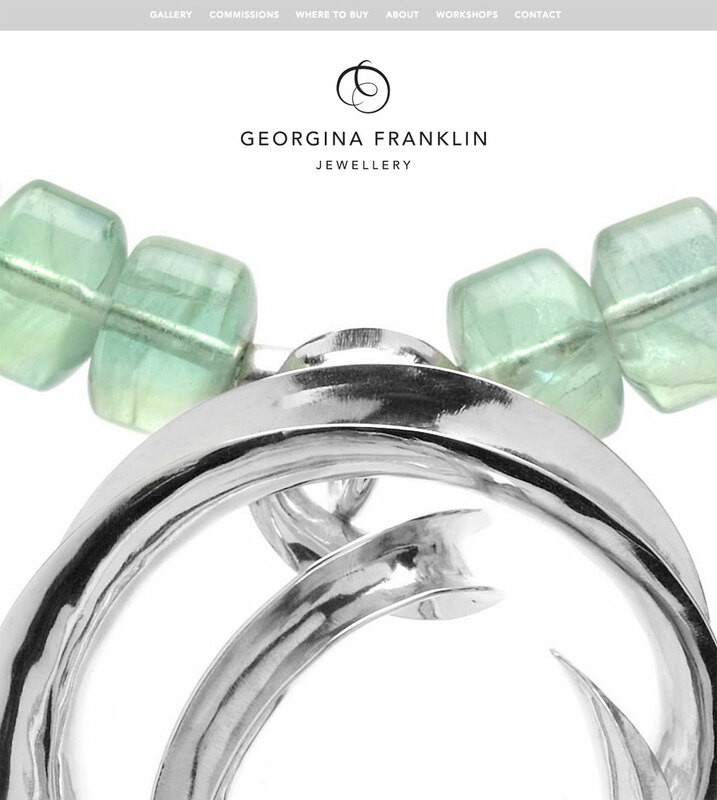 Responsive website for designer maker specialising in bespoke handcrafted silver jewellery. A clean, minimal design with lots of white space to set off the work. 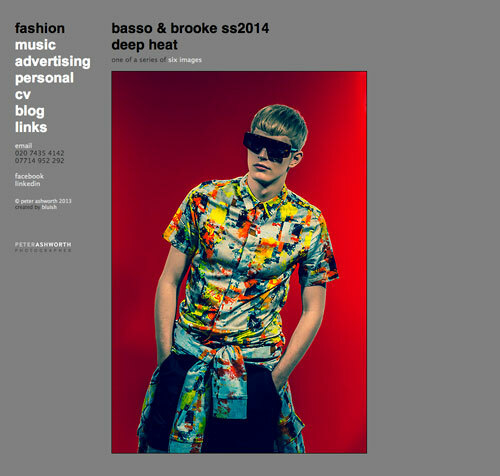 Fullscreen slideshows add richness and narrative. 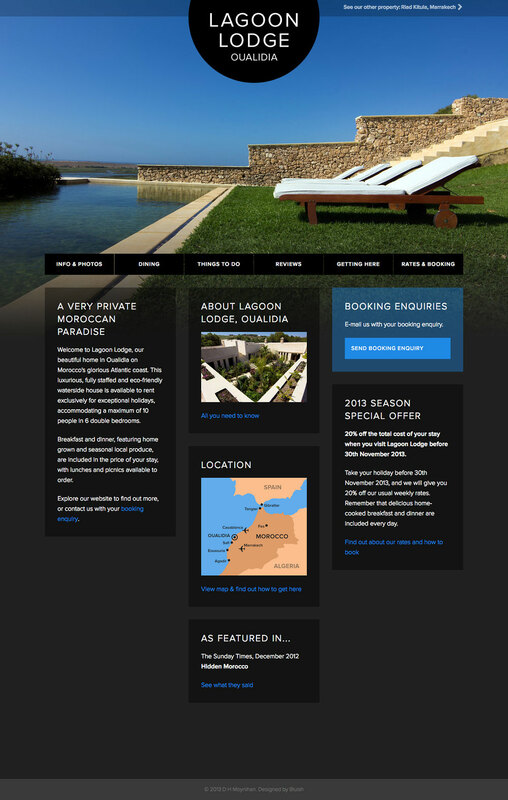 Website design and build for a luxury holiday rental in Oualidia, on Morocco's glorious Atlantic coast. 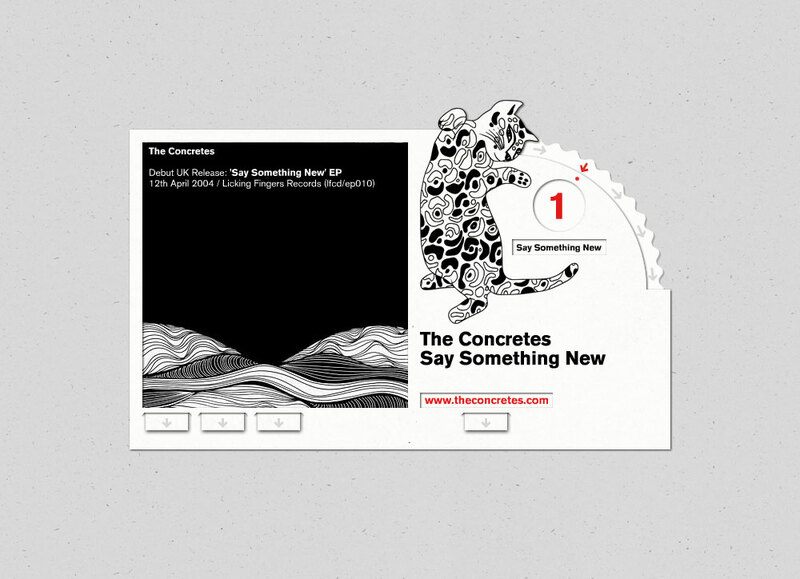 Primary objective: to generate booking enquiries. Website design through tech agency Black Radley, who headed up the project. No longer live. Having worked with SPL and their in-house developers since 1999, I'm responsible for website design and some of the front end build. This screenshot shows my redesigned search interface. We've recently added e-commerce. 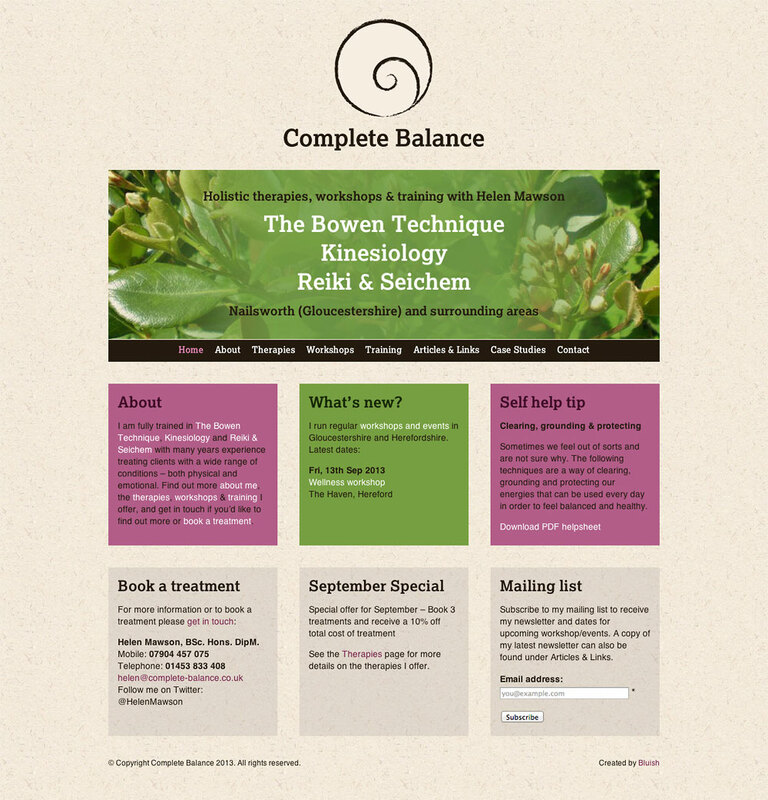 Website redesign for Bowen, Kinesiology & Reiki therapist Helen Mawson. Content managed using Perch. Website for a monthly event I run; a casual get-together for local creative folk in and around Ludlow. 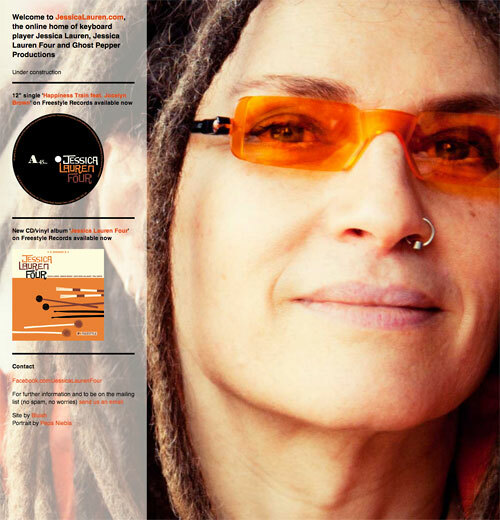 Microsite for the insanely talented musician Jessica Lauren. 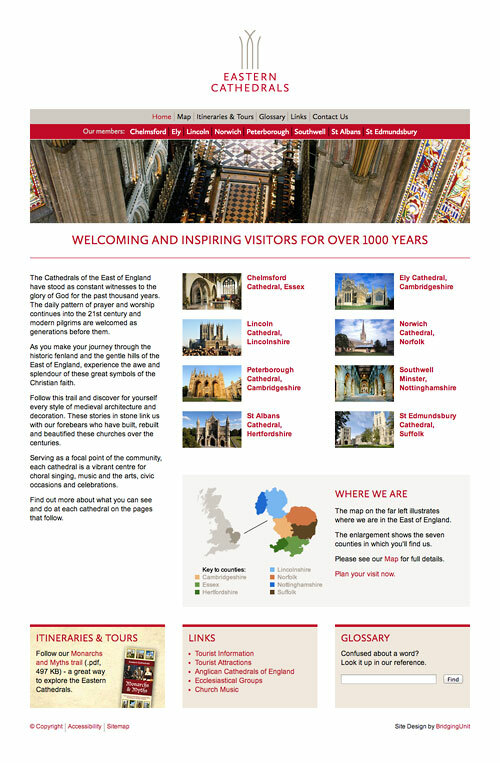 Website design, under direction from BridgingUnit, for a group of cathedrals in the East of England. Super-simple website designed to focus attention on Peter's stunning photography. Complex skinned QuickTime player: a hand-drawn radio (by yours truly) with a dynamic audio interface that launched 19 track-specific sub-skins. Handwritten/ drawn content screens. 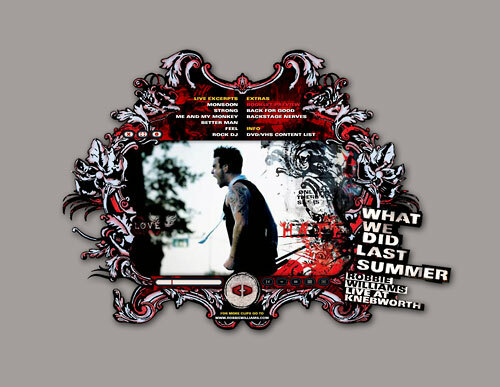 Full of information, imagery, audio and video, it won Best Digital Promotion in the 2005 BT Digital Music Awards. 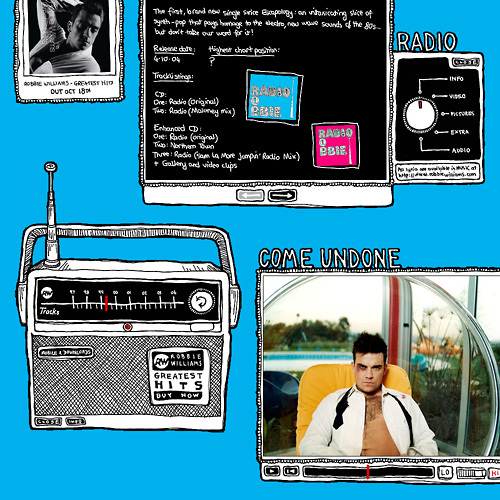 Robbie Williams "Live at Knebworth"
Skinned QuickTime player with an elaborate window mask and shaped video playback area. Won an Apple Design Award in 2004: "Best QuickTime Content for Promotion". 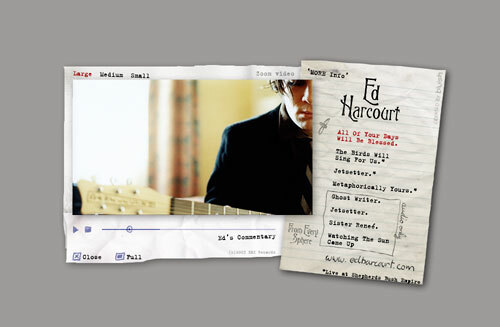 A subtle, dynamically sizing Flash band site designed to work equally well on small and large screens. Skinned QuickTime media player with a complex window mask. 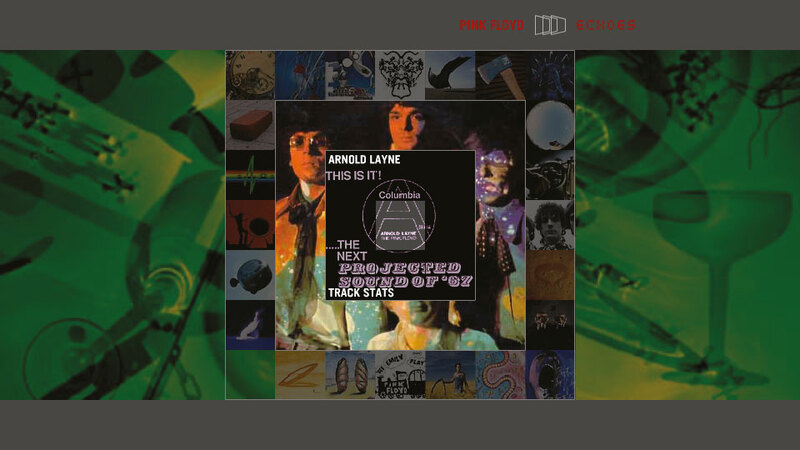 The video had a commentary track that could be toggled on or off during playback. An ambient, algorithmic screensaver which reflected the time of day and updated itself via the web. 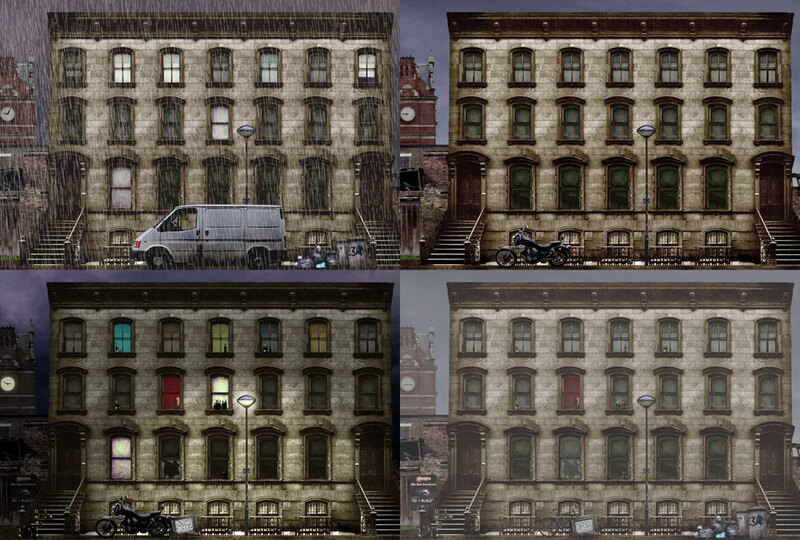 At night, televisions flickered in the windows. At dusk, rubbish bins were left out for collection. 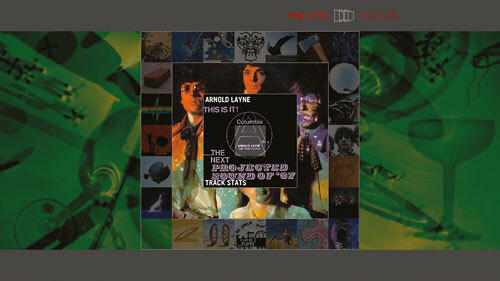 When the album went to number one, there was a two-day party in the house, and a TV thrown out of a window. Rich media Flash site, which won 'Best Promotional Campaign' in the 2002 BT Interactive Music Awards. 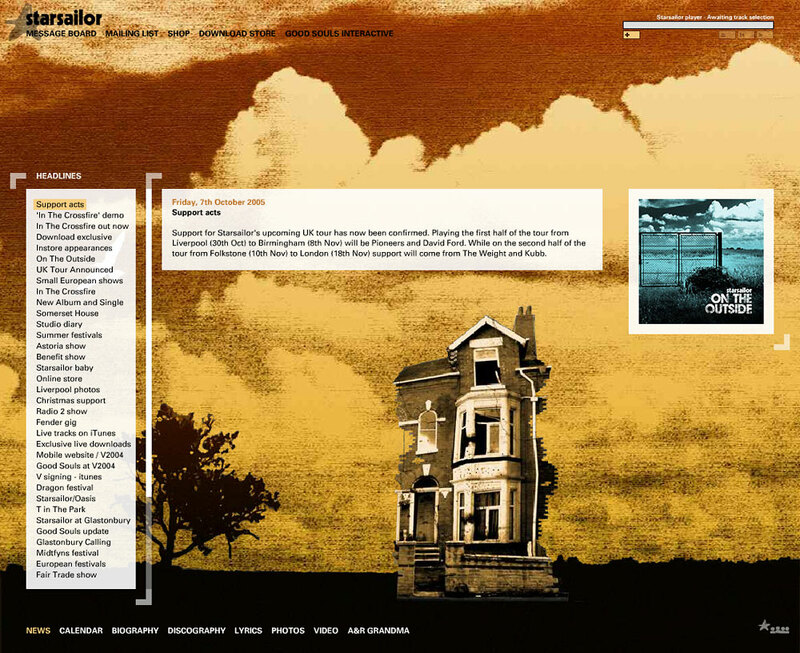 Pictorial random navigation connects images, anecdotes, lyrics, video and audio. 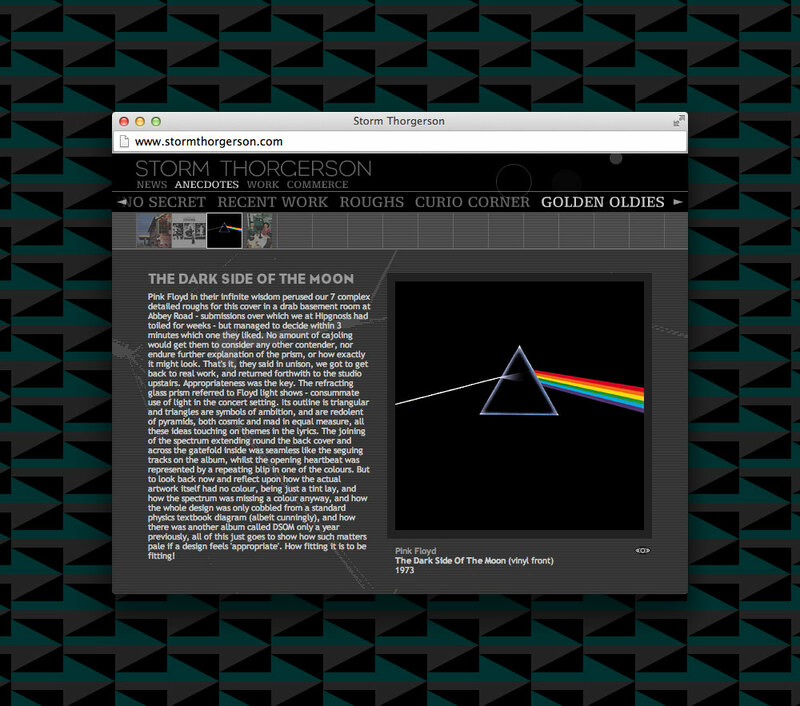 Other elements included a timeline, ambient screensaver & skinned QuickTime media player. Portfolio website for renowned album sleeve designer Storm Thorgerson, showcasing a diverse and extensive range of his work. Non-linear multi-mode Flash navigation system allows users to view by type, artist and date. Since Storm's passing StormStudios Design is continuing with his blessing, and this site has been archived.